The most effective way to ensure a successful installation is to work with a superior contractor. Trust is indispensable in the construction industry and every project requires multiple teams for successful results. Even a few installation failures can tarnish any business reputation. In the flooring industry, it is common for the repair of an installation failure to cost as much as nine times the original cost. It’s fair to pay for value once, but to have to pay again is a burden. Working with superior contractors protects businesses from the burdens of construction failures. Superior contractors provide peace of mind with bona fide credentials to prove that they are a reputable expert. 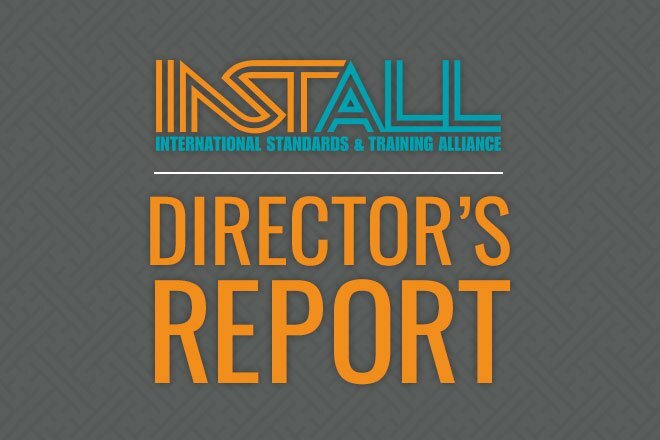 Protect good business from dangerous contractors by establishing INSTALL standards in specifications. INSTALL specification standards have been vetted and implemented by state governments across the USA, including the U.S. Department of Veterans Affairs. Compliance with these standards effectively eliminates underfunded, unqualified and risky contractors from causing problems on projects. At INSTALL we believe so much in our INSTALL Warranty Contractors, we provide customers with an additional and free, extended installation warranty.